Iuliana is from Moldova. She has competed on Next Star Romania and was in the Season 4 final of Voice Kids Russia. Wish our Bunny luck and success! The 14-year-old adolescent is intensely preparing for the second great event in her artistic life. The second time, such as the great artists, Iuliana Beregoi holds a concert at the Palace Hall. We are talking about the play "Lara and Christmas of Toys", which will take place at the Palace Hall on November 30, starting at 16.00. After the success of the summer when the teenager of only 14 years managed to fill until the Palace Palace refusal, now the artist from the Republic of Moldova prepares an event that announces to surpass the first. We are talking about "Lara and Christmas of Toys," a grandiose event with three clear and well-established directions. First of all, we talk about the concert itself, a concert supported by Iuliana Beregoi and her special guests. On the other hand, the absolute premiere of the event will be the full design of the film "LARA", the first long feature film for children after a long time in Romania. On November 30, viewers will have the opportunity to see it completely before it is officially launched. In LARA, Iuliana Beregoi plays alongside big names such as Lora, Dima Trofim, Daniela Nane and Alina Eremia. And, over all these premieres, Iuliana Beregoi is organizing a TOYS for less-favored children. "As the month of presents approaches, I invite you to participate in the largest collection of toys and toys that we will donate to Christmas less fortunate children. If you have a toy or a toy you do not use, bring it with you. Let's show that the Z generation can give you on November 30 at the Palace Hall, your favorite artist urges you". Here are the reasons why on November 30th, at 16.00, we will enjoy together at the Palace Hall "Lara and Christmas of Toys" a show MIXTON MUSIC. Tickets can be purchased from eventim.ro. Iuliana Beregoi gathered over 500,000 subscribers on her YouTube channel and over 7 million views. Since she has entered the music industry, Iuliana has managed to collect over 60 million views of her singles. 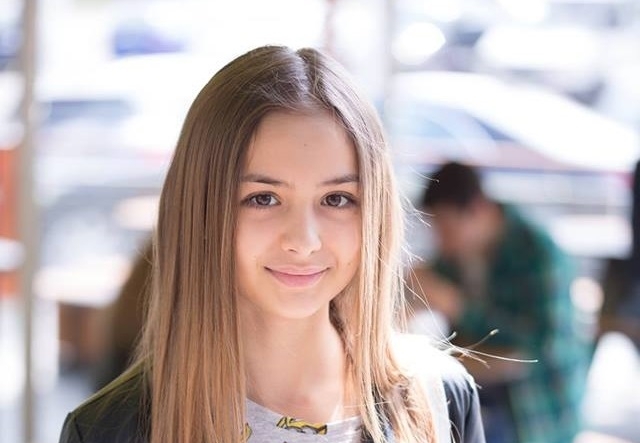 In addition, adolescence produces real hysteria with vlogs and has a resounding success among adolescents thanks to the series "Lara", where she plays the main character. Iuliana is still practicing for the show! Is Santa playing the keyboard with gloves on? Now that's talent! Hopefully, the whole concert will show up at some point! Iuliana goes airborne at 2:25 and drives Santa's sleigh at 7:25! 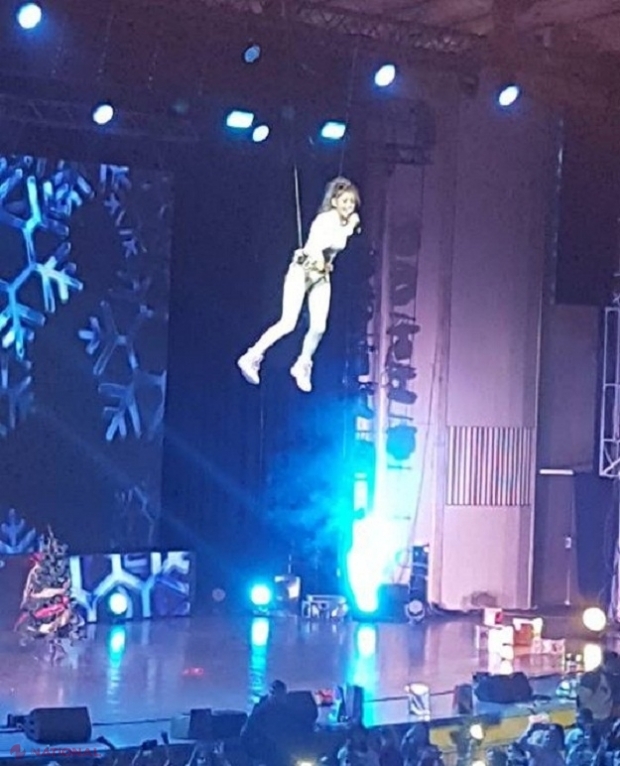 Orchei's already-famous performer, Iuliana Beregoi, held a big day concert last weekend at the Palace Hall in Bucharest. At the event came thousands of children, accompanied by parents, who sang with her songs Iuliana, chanted her name and applauded her hard. The show also had a charitable purpose, as the month of gifts is approaching. Spectators came to the concert with toys and toys that will be donated by Christmas to less fortunate children. Thanks a lot to those who brought toys and hăinuțe for children less lucky than us. Together with you guys we made the biggest crowdfunding. We demonstrated to everyone like us, generation z we know to give! Love you enormous! You are the hottest!